Architectural Inspiration or Unlawful Imitation? In the United States and other countries adhering to the Berne Convention (including China), copyright laws protect certain buildings and building design plans as “architectural works.” But while architectural works are protectable, it’s sometimes hard to distinguish those aspects of the building design that are worthy of copyright protection from those that are not because, for example, they are functional, well-known or standard elements used throughout the architectural industry, or otherwise not part of the “artistic” design. Also, architects often find inspiration for their own designs in other buildings, new and old, and in aspects of architecture that have been around for centuries. One issue that regularly surfaces is whether an architect or developer has unlawfully copied another’s design, or whether they have properly drawn inspiration from the world around them. Here’s a real-life example of how hard it can be to draw the line between inspiration and imitation, and how the community culture can influence enforcement of intellectual property protection. Building Imitation is the Sincerest Form of Flattery? A trio of buildings designed by superstar architect Zaha Hadid is currently under construction in Beijing. 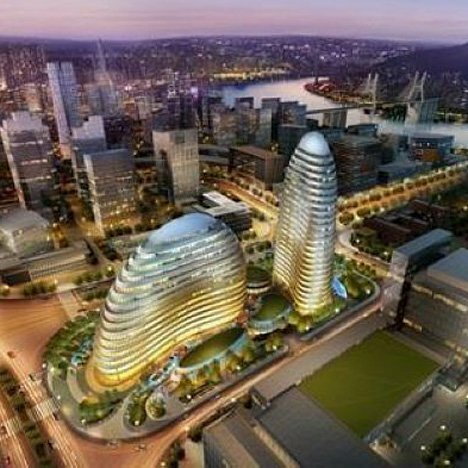 The soon-to-be-finished project, called Wangjing SOHO, is made of glass-covered curves (meant to evoke fish and mountains) and has all the makings of an iconic landmark and feather in the cap of its developer, SOHO China. But builders in the city of Chongqing have already put a damper on SOHO China’s achievement by building a curiously similar project at the same time. Indeed, the Chongqing project may well be completed before Wangjing SOHO. Not everyone will agree, of course, but one can see how some believe that the Chongqing project crosses the line from inspiration to improper copying of Hadid’s architectural design. Hadid and SOHO China apparently think so, as both have expressed their intent to take legal action to enforce their intellectual property rights. Architectural works are capable of protection under China’s copyright laws. But a copyright infringement case in China could be difficult for a variety of reasons, not the least of which is China’s “copycat culture” or “shanzhai.” Shanzhai culture is known primarily for the proliferation of knock-off cellphones and other relatively low-priced consumer items, but it is also alive and well in the higher-priced arenas of building development and architectural design. In fact, a new book is devoted to this cultural phenomenon, which the author calls China’s “duplitecture” movement. In researching this post, I learned that China is full of copycat buildings (like the White House), bridges (including London’s Tower Bridge), monumental structures (“Oriental Paris” in Hangzhou has an Eiffel Tower), and even whole villages and cityscapes (including “Manhattan” and an alpine village). 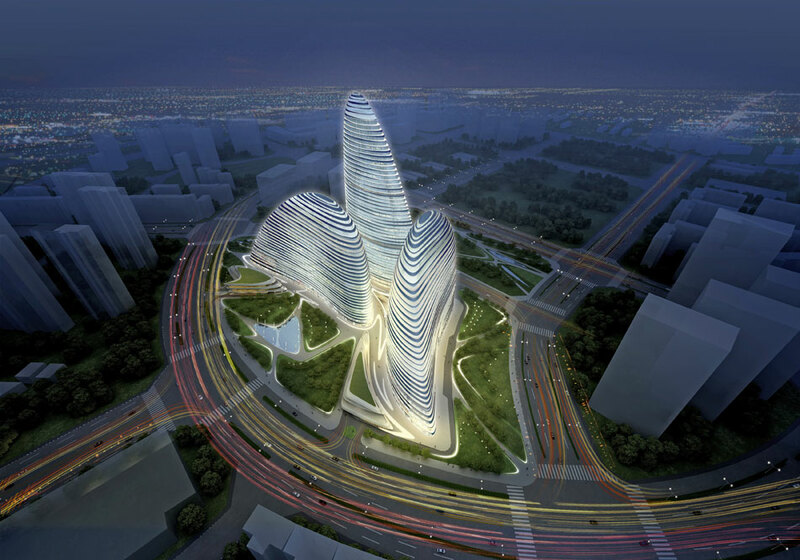 What do you think, is the Chongqing project too close to Hadid’s Beijing building for comfort? Previous PostIntellectual Property Theft: A National Security Issue? Next PostCan Copyright Get The Led Out?